Richard Pecorella remembers his fiancee, Karen Juday, who was killed in the World Trade Center on September 11, 2001. Listen Here. Stories from those affected by the terrorist attacks of 9/11. Former NYPD lieutenant Bill Cosgrove remembers carrying Father Mychal Judge, the first official victim of September 11th, out of the World Trade Center. Father Michael Duffy remembers his friend, Father Mychal Judge, the first official victim of the September 11, 2001 attacks on the World Trade Center. Father Michael Duffy talks about how he came to give the homily at the funeral of his friend, Father Mychal Judge, the first official victim of the September 11, 2001 attacks on the World Trade Center. A few years after immigrating from the Ivory Coast, Sekou Siby began working in the kitchen at Windows on the World–a restaurant at the top of Tower 1 at the World Trade Center. 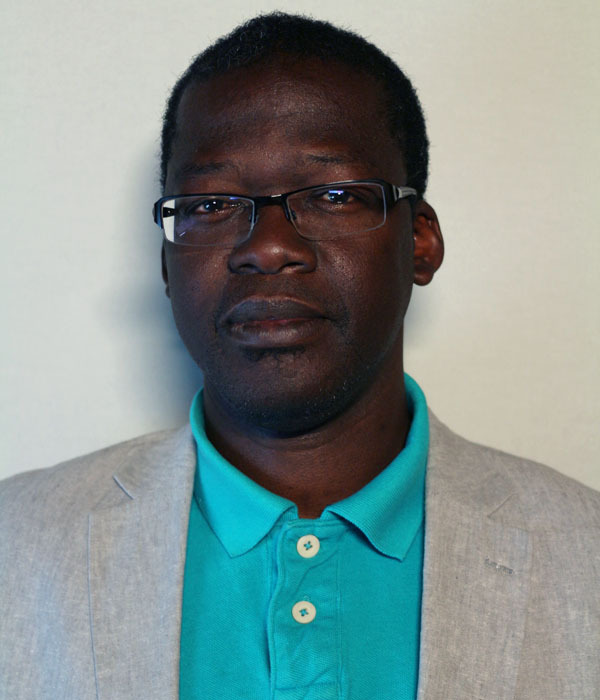 On September 11, 2001, Sekou lost 72 colleagues in the attacks, many of them also immigrants. 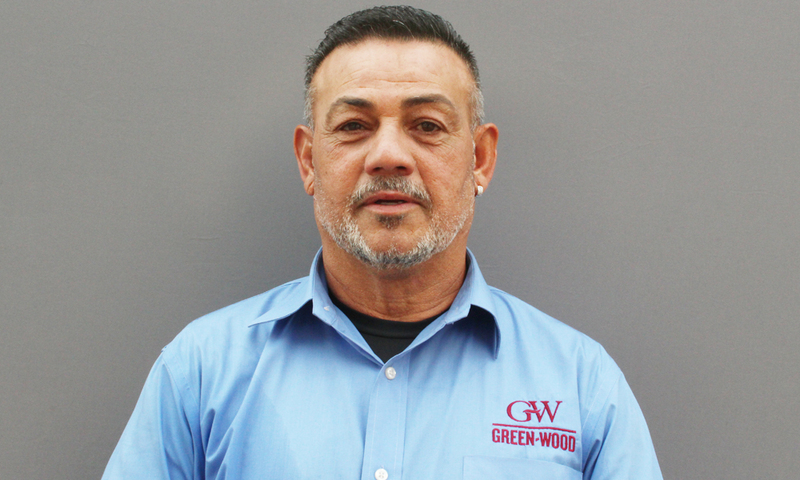 Sekou was supposed to be working that morning but he had switched shifts with another kitchen worker named Moises Rivas, who was killed that day. He came to StoryCorps to remember Moises and the many other coworkers he lost. Talat Hamdani remembers her son, a NYPD cadet who died at the World Trade Center on 9/11 and was wrongfully accused of having terrorist links. On September 11, 2001, Salman Hamdani was a 23-year-old emergency medical technician, NYPD cadet, and aspiring medical student working in Midtown Manhattan. He did not return home that day. His family did not know that Salman had made his way downtown to the site of the World Trade Center hoping to help others, and had been killed in the collapse of the North Tower. Like thousands of other families, the Hamdanis spent the weeks following the attacks searching for their son, but unlike others, they were forced to deal with the burden of suspicion that was thrust on them because of their background and faith. Salman was had nothing to do with the events of 9/11, but being a Muslim with a Pakistani background, he was immediately targeted by police and media as a possible accomplice to the attacks. Today there are scholarships in his name at his alma mater, Queens College, and at Rockefeller University, and the street he lived on in Bayside, Queens, was renamed in his honor. His mother, Talat Hamdani, came to StoryCorps with her niece Armeen Hamdani (pictured together above), to remember the days after September 11, 2001, when Salman went missing. A former airline employee discusses the aftereffects of knowing he checked two 9/11 hijackers onto the plane that was flown into the Pentagon. This weekend marks 15 years since the terrorist attacks of September 11, 2001. Each year since, StoryCorps has commemorated the day by featuring stories from the parents, wives, husbands, coworkers, and friends of those who died on 9/11. This year we hear from Vaughn Allex, a man whose life was affected in another way. Vaughn was working at the American Airlines ticket counter at Dulles International Airport outside of Washington, D.C., on the morning of September 11 checking in passengers on Flight 77. As he was wrapping up, two men who were running late for the flight came to his counter. Before the creation of the Transportation Security Administration (TSA), airport security was more lax, and Vaughn did exactly what he was supposed to do -- he checked both men’s IDs, asked them a few standard security questions, and then flagged their bags for extra scrutiny. Vaughn then checked the two men in and they boarded the flight to Los Angeles. Those two men were among the five hijackers onboard who crashed American Airlines Flight 77 into the Pentagon, killing 189 people including themselves. 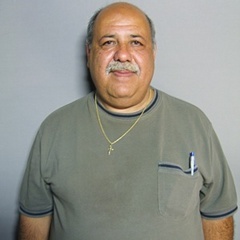 Vaughn, who retired from the airline industry in 2008 and now works for the Department of Homeland Security, came to StoryCorps with his wife, Denise, to discuss how he has felt since learning the next day that he checked in two of the 9/11 hijackers on American Airlines Flight 77. Originally aired September 9, 2016 on NPR’s Morning Edition. On September 11, 2001, Salman Hamdani was a 23-year-old emergency medical technician, NYPD cadet, and aspiring medical student who rushed to the World Trade Center that morning to help. Like thousands of others, Salman never came home that night. And as his family searched for him in the weeks that followed, he was wrongfully linked as an accomplice in the attacks. His mother, Talat Hamdani, came to StoryCorps with her niece, Armeen Hamdani, to remember the days after Salman went missing. In April 2002, a month after his remains were found, Salman was finally given a hero’s burial — with his casket draped in an American flag. Hundreds of people attended his funeral, including then-New York City Mayor Michael Bloomberg and the city’s police commissioner. Today, there are scholarships in Salman’s name at his alma mater, Queens College, and at Rockefeller University. The street on which he lived in Bayside, Queens, was renamed in his honor. On September 11, 2001, Salman Hamdani was a 23-year-old emergency medical technician, NYPD cadet, and aspiring medical student who rushed to the World Trade Center that morning to help. Like thousands of others, Salman never came home that night. And as his family searched for him in the weeks that followed, he was wrongfully linked as an accomplice in the attacks. His mother, Talat Hamdani, came to StoryCorps with her niece, Armeen Hamdani, to remember the days after Salman went missing. In April 2002, a month after his remains were found, Salman was finally given a hero’s burial — with his casket draped in an American flag. Hundreds of people attended his funeral, including then-New York City Mayor Michael Bloomberg and the city’s police commissioner. Today, there are scholarships in Salman’s name at his alma mater, Queens College, and at Rockefeller University. The street on which he lived in Bayside, Queens, was renamed in his honor.